Mike & Darla Bachelder have been active in ministry since 1980, with an emphasis on intercession since 1995. Mike has served as pastoral oversight for intercession and the prophetic ministry for many years and has been involved with ministry overseas. Mike has worked with, led intercession teams, and/or preached in the UK, Japan, Thailand, Cambodia, Spain and Morocco, as well as numerous places in the U.S. Along with teaching and training on intercession (Burning Hearts School of Intercession, Prayer Culture Seminars and Prayer Conferences), Mike also operates under a preaching and prophetic anointing. Mike has been preaching and doing trainings for churches, ministry schools and other organizations for many years. He speaks on topics including, but not limited to, intercession, prophetic ministry, corporate and personal breakthrough, leadership, spiritual warfare, depth of relationship with God and many other subjects. Mike and Darla also have a great burden to see the young adult generation (those in their 20’s & 30’s) set free and released into their ministry and calling. They have a strong desire from God to be a father and mother to this generation around the world as the Lord leads them. During their years of ministry, Mike and Darla served in local churches in the capacity of associate pastors over areas including youth ministry, prayer & intercession, prophetic ministry and office administration. In 2008 Mike and Darla transitioned from their positions as Associate Pastors into becoming Founders and Directors of Burning Hearts Ministries. They are connected with Missionary Church International and are covered under the umbrella of their 501-C3 status. They have an accountability/advisory team operating for the ministry and are submitted to local church leadership. 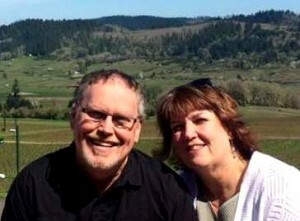 Mike and Darla served as missionaries in Scotland from 2008 to 2011. In seeking the Lord and preparing to return to the mission field, God began to remind them that they have been called to the nations (plural), not just the nation a Scotland. They believe they will always be connected to Scotland but are now open to go wherever God would send them. God has asked them to be “on call” for Him to send to any nation at any given time. Mike and Darla have been married for 35 years and have raised five children. They are currently enjoying the addition of grandchildren to their family.